Sharon L. Przybylo (Goodwin), 55, passed away on Friday, December 28 surrounded by loving family and friends. Sharon was born in Waukegan on July 30, 1963, to Margaret Goodwin and thus began her life-long suffering as a Cubs fan. She grew up and resided in Round Lake Beach, IL for many years. After living in Lancaster, SC for a short time, it was her desire to be near family that led her back to Lindenhurst, IL, where she spent the remainder of her life. United in marriage on July 23, 1983, Sharon spent 35 happy years with her best friend Robert “Bob” Przybylo. Together, they enjoyed time with friends and family, sitting around a campfire, playing cards, going to concerts, and cheering on the Cubs and Bears. Always in search of a great bargain at Goodwill, Sharon’s greatest deal was her two children, Mathew and Monika, who in turn gave her three beautiful granddaughters. She lived for Delilah, Amelia and Isla. An accomplished cook, she often spent time with them baking her famous banana bread, cookies and red sauce. When she wasn’t cooking, she loved to take the girls to Bay Beach Amusement Park, volunteer in their classrooms, and read to them. Sharon held many jobs throughout her life, working as an assistant teacher at Peppermint Stick Preschool for many years, as an insurance agent, and then returned to the school system where she worked in various roles with special education, but her family always came first and her greatest labor of love was being a mother and “nana.” Sharon was proud of her time in color guard and kept in touch with her fellow “Rebelaires.” Sharon also had a life-long passion for the Cubs and had the opportunity of a lifetime to attend Games 6 and 7 in Cleveland to watch the Cubs win the 2016 World Series. Surviving her is her husband Robert Przybylo; children, Mathew (Emily) Przybylo and Monika Przybylo; 3 grandchildren, Delilah Denikas, Amelia Denikas and Isla Przybylo; mother, Margaret Goodwin and the man who became a father to her, George Randall; mother- and father-in-law, Joyce and Allen Greenspon; sisters, Annette (Rod) Sheets, Doreen (John) Cashmore, Paula Jenkins; cousin Dolly (Mark) Hoffer; many nieces and nephews; and her very good friends, Kitty and the Madden sisters. She was preceded in death by her brothers-in-law, Mike and Tim Przybylo and grandparents, Mildred Minghi, Verna Bork, and John Hommrich. It is evident by the outpouring of love, that Sharon Przybylo impacted many lives with her compassion, generosity and warm-loving heart. When you see a penny on the ground, pick it up, and continue to keep her memory alive. Services will be held at Strang Funeral Chapel in Grayslake, IL on Friday January 4th 2019. Visitation from 10AM-2PM followed by a graveside service at Avon Centre Cemetery (intersection of Shorewood Rd and Route 83). Strang Funeral Chapel, 410 E Belvidere Rd, Grayslake, IL 60030.
entrusted to Strang Funeral Chapel & Crematorium 410 E. Belvidere Rd. services, call (847) 223-8122 or log onto www.strangfuneral.org. Dale R. Webster, age 67, a resident of Round Lake Park, passed away on Wednesday, December 26, 2018 at Condell Hospital in Libertyville. He was born on June 8, 1951 in Wellsboro, PA to Ransford and Mildred Webster. He served in the United States Army and retired from Baxter Health Care. Nicole Young; and his parents, Mildred and Ransford Webster. Walter (Wladyslaw) T. Malanowski, age 71, a resident of Harvard passed away on Tuesday, December 25, 2018 in Barrington. He was born on June 19, 1947 in Poland and came to America in 1960. He attended St. Gilbert’s Catholic School and Grayslake High School. Walter married Cheryl Kemplin on June 1, 1970. He started his own business, J.W. Concrete in the Summer 1972 and continued working until his death. He enjoyed his family and friends and his farm life. Walter survived by his wife, Cheryl; his daughter, JoAnn (nicknamed Bozo); his sons, Jason and Adam; his brothers, Chet (Merrylee), Lester (Bernel); his sister, Donna; grandchildren, Dalton and Samantha Davidson, and Sophia and Morgan Stewart; and many nieces and nephews. He was preceded in death by his parents, Kazimierz and Sophie Malanowski; and brother, Rich Malanowski. A visitation is scheduled for Thursday, January 3, 2019 from 4:00pm until 8:00pm at Strang Funeral Chapel & Crematorium 410 E. Belvidere Rd. Grayslake, IL 60030. A funeral mass is scheduled for Friday, January 4, 2019 at 10:30am at St. Gilbert Catholic Church, 301 E. Belvidere Rd., Grayslake, IL 60030. Interment will be held privately. Joan Margaret Young, age 88, a resident of Burlington, Wis, passed away Monday, December 24, 2018. She was born April 15, 1930 in Chicago, IL to Fred and Catherine Hodgkins. She was a member of Al-Anon. Joan is survived by her son, Dan (Dona) Young of Mundelein; her grandchildren, Aaron Young of Chicago, Dever (Tanya) Young of Poplar Grove, Geoff Young of Volo and Kristie Greenfield Young of Mundelein; and six great grandchildren. She was preceded in death by her sons, Timothy and Steven Young; and brother, Robert (Margaret) Hodgkins. A visitation and funeral service are scheduled for Saturday, December 29, 2018 from 9:00 a.m. until 11:00 a.m. with the funeral service at 11:00 a.m. at Strang Funeral Chapel & Crematorium, 410 East Belvidere Road, Grayslake, IL 60030. Interment will be held at Highland Memorial Park in Libertyville. For information, please call 847-223-8122 or go to www.strangfuneral.org. “Of my friend, I can only say this: of all the souls I have encountered in my travels, his was the most human,” – Captain Kirk’s final message to Spock (Star Trek). On Saturday, December 15, 2018, Trevor M. Dertz died suddenly at the age of 34. Trevor was born on November 10, 1984 in Chicago, IL. The family moved to Grayslake, IL when Trevor was 8 years old. He graduated from Grayslake Community High School and Columbia College Chicago. Trevor had a brilliant mind and especially loved researching history, politics, computers, and music. If Trevor didn’t know an answer (which was rare), he would intensely research until he could tell you everything about the topic from start to finish. He also loved caring for the family dog Kobi, video and computer games, Star Trek, cooking, craft beer, and spending time with his friends in Chicago. Trevor will always be loved and treasured by his mother Mary Dertz King (Don), sister Chelsea, grandfather Norman Dertz, and many dear aunts, uncles, cousins, extended family, and loving friends. Trevor is now reunited with his devoted father, Michael, who passed in 2004. The family will be having a small, private service. In lieu of flowers, please consider a donation to the Jed Foundation or any charity that supports mental health and/or suicide prevention. All arrangements were entrusted to Strang Funeral Chapel & Crematorium, 410 E. Belvidere Road, Grayslake, IL 60030. For information, please call 847-223-8122 or go to www.strangfuneral.org or visit our facebook page. 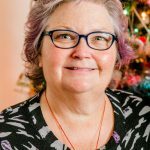 Karen R. Hook passed away on December 18, 2018 at Advocate Condell Medical Center. She was born April 4, 1942 in Waukegan, IL to Delbert and Helen (Sloncen) Hook. She was a long time resident of Grayslake, IL and a member of St Gilbert Catholic Church until moving to Antioch, IL where she was a member of Our Lady of the Lakes Parish-St Peter Catholic Church. Surviving are her sisters, DelRaye (Robert) Bonfanti and Mary Hook both of Antioch, IL. Her nieces and nephews Gina (Randy)Kenyon of Woodstock, IL, Keith (Lora) Bonfanti of Tucson, AZ, Jeffrey (Trisha)Bonfanti of Long Grove, IL and Nicole (Darryl) McPherson of North Aurora, IL. She is also survived by her great-nieces, nephews, aunts, cousins and friends. She was preceded in death by her parents. Karen worked at Hook’s Walgreen Agency in Grayslake, IL, Fojtik Pharmacy in Fox Lake, IL and Cole Pharmacy in Richmond, IL. She served on the Avon Centre Cemetery Board and a member of the Grayslake Historical Society. The family wishes to thank her caregivers, Lisa and Lynn for their excellent care and thestaff at Fresenius Dialysis Center-Antioch. Visitation will be held on Friday, December 21, 2018 from 4p.m. to 7p.m. at Strang FuneralChapel & Crematorium, Ltd. at 410 E. Belvidere Road, Grayslake, IL. Funeral Mass will be at 10 a.m. on Saturday, December 22, 2018 at Our Lady of TheLakes-St. Peter Church at 557 Lake Street, Antioch, IL. In lieu of flowers contributions can be made to Grayslake Historical Society P.O. Box 185Grayslake, IL 60030 or Our Lady of the Lakes-St Peter Church. Rose Marie Bauer passed away on December 16, 2018 at Travanse Living Residence in Grayslake, IL. She was born on February 8, 1919 in Fremont Center, IL, the daughter of Cora and William Diebold. After being united in marriage to Charles Sumner Bauer on September 19, 1939, Rose moved to Grayslake where she lived her adult life. Preceding her in death are her husband, Charles; her parents; two brothers and a sister. Surviving are her five children: Dolores Haynes, Gurnee, IL; Pat (Herb) Eldean, Macatawa, MI; Kay (Don) Saffold, Golden, MO; Donald Bauer, SR, Lake Villa, IL; and Lori Neff, Lake Villa, IL; seven grandchildren: Erik (Hang) Bowman, Alabama; Kori (Doug) Rentz, Connecticut; Wade (Kris) Eldean, Michigan; AmieBauer, Chicago, IL; Donald Bauer, JR, California; Jenna Bauer, Chicago, IL; Kelsey Neff, Lake Villa, IL; and five great grandchildren: Ryan Eldean;, Hunter Bowman; Alexander, Ella, and Lachlan Rentz; two sisters: LaVerne Langston, Godrey, IL and Marion Grinnell, Lindenhurst, IL. Rose was an active member of St. Gilbert’s Catholic Church in Grayslake for all of years in Grayslake. She will be remembered as a wonderful mother and grandmother, finding great joy in being with her family. The family will receive friends on Friday, December 21, 2018 from 10:00 a.m. to 11:00 a.m. at St. Mary of the Annunciation Catholic Church, 22333 W. Erhart Road, Mundelein with a Mass following at 11:00 a.m. Interment will be held at St. Mary Catholic Cemetery in Mundelein. In lieu of flowers, memorials contributions may be to the Grayslake Public Library in her name.